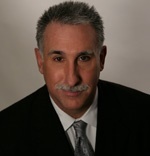 Dr. Dennis Buckley is a 1993 graduate of Los Angeles College of Chiropractic. He has practiced in the San Gabriel Valley in Pasadena the past 16 years. He specializes in sports related injuries, rehabilitation, and prevention. He also has an expertise in workplace wellness and personal wellness programs. Dr. Buckley is very involved in his profession and his community. He is a past president of the California Chiropractic Association and has served in many leadership positions in that organization locally and statewide. He is also involved with the Pasadena Chamber of Commerce and serves as the Business Development Vice-Chair and will be the president elect for the chamber starting in July of 2009. He is the first vice-president and in charge of chapter operations of the National Football Foundation San Gabriel Valley Chapter. He has served also as team physician at Pasadena High School, Temple City High School, Marshall Fundamental High School, Maranatha High School and Cantwell Sacred Heart of Mary High School. He works with the San Gabriel Valley Junior All-American Football and cheer providing pre-participation physicals and risk management programs.